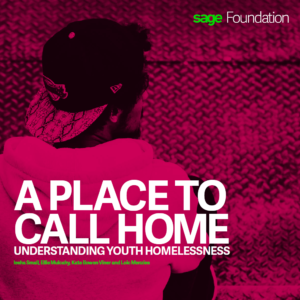 Home » Blog » Education » Youth Homelessness: It’s people that need a place to call home. Researching the experiences of young homeless people isn’t just about coding qualitative data or analysing statistics. It’s about people. Research can help us to step inside a world which is otherwise hidden. This is important because it allows us to identify problems, empathise and ultimately improve things for vulnerable people. 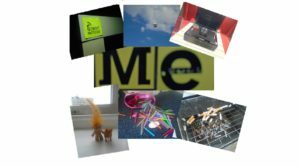 “A Place to Call Home”, photographs taken by young people in London and Newcastle. One of the most powerful things about ‘A Place to Call Home’ is that it uses participatory research. Young homeless people used timelines, photographs and recorded audio to tell their individual, and troubling, stories. At every point in this project those stories were the priority. Analysing these data-sets taught me that we cannot seek to improve life for young people unless we are willing to listen to them. I hope I never forget that. That is not to say that the analysis stage was easy. It was emotionally draining and – quite frankly, tough work. When I listened to the young people’s audio, I often cried or ranted to my boyfriend about how terrible the world is. Mostly though, I thought about kids I grew up with and the ones I’d taught. It felt as if I was putting the dots together. I was making sense of the fragments of stories I’d once been privy to. Unfortunately, homelessness is experienced by a startlingly high number of young people. The stories in ‘A Place to Call Home’ are of course personal, but many of these young people’s experiences are all too common. I hope that the report champions young homeless people’s voices and sheds light on their experiences. Working with young people is tough, but rewarding. As part of our research, we conducted workshops with young homeless people to teach them to use photography and audio equipment to tell their stories. At times, it made me miss the classroom. At times, it was challenging. I came away from the workshops feeling physically and emotionally drained. I do, however, struggle to focus too much on my own experience here. If I felt drained after three days of listening to these stories, how must these young people feel every day? The logistics of organising workshops were also challenging. Many of the vulnerable young people we worked with had chaotic lives and found it difficult to commit time to the project. For some, this was because of the challenge of fitting time in around meetings with Job Centre officials. For others, the breakdown of relationships and friendships needed to take precedence. 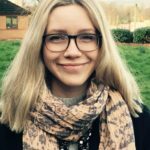 Organisational problems helped me to understand that being young, vulnerable and homeless is more than just ‘difficult’. Challenges that many young people face, such as time management and dealing with friendship breakdown, are intensified by the chaotic nature of homelessness. So, was the hard work and emotional drain worth it? Completely. In spite of their traumatic experiences, young people always have the power to make you laugh. It was refreshing to hear young people tell me things exactly as they saw them. They were not shy about meeting seemingly important people and were keen to bluntly share their thoughts on many topics. I appreciated the banter and the positive relationships we developed. It is helpful to be someone else’s listener. I will always remember that. Despite what I thought I knew about young people, education and homelessness, this project challenged my viewpoint. It helped me remember that there are always stories behind statistics. Many of these stories were different to what I had expected. Whilst certain groups of young people are more at risk of homelessness, the young homeless people we worked with were not stereotypes. They were (and are) individuals with different backgrounds and educational experiences. Other people’s experiences help to shape our worldview. Whether we hear stories face-to-face, on social media, through the news or even reading a research report, they impact on us. This is an important part of being human. Developing our worldview also leads the way to taking effective action to improve life for others. If we truly want to end youth homelessness, we need to challenge our assumptions. Listening is a good place to start. I feel privileged to have heard young people’s experiences of education and homelessness. I hope you too will find that reading ‘A Place to Call Home’ helps you to understand a world which you may not know.